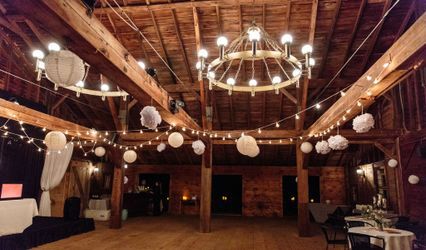 Adirondack Cruiser & Charter Co. is small family owned business that offers a unique wedding venue on Saratoga Lake. 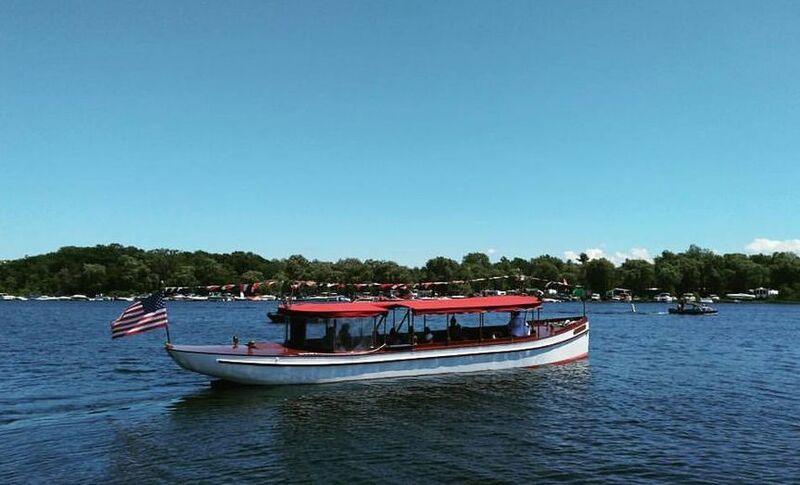 Sit back and relax as you cruise the lake in style. Adirondack Cruise & Charter Co. has been in business since the 1890s with their insured, NYS inspecial and licensed captain piloted vessels. 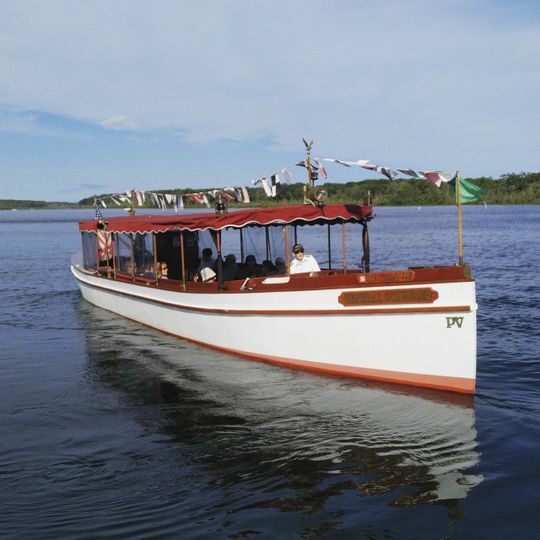 Enjoy the scenery of Saratoga Lake on their 50 foot classic 1990s replica Fantail Launch or their 22 foot Sweetwater Pontoon Boat. They are based out of Saratoga Lake Marina. General Schuyler, the 50 foot boat, features a 10.5’ beam, side weather curtains and small restroom. 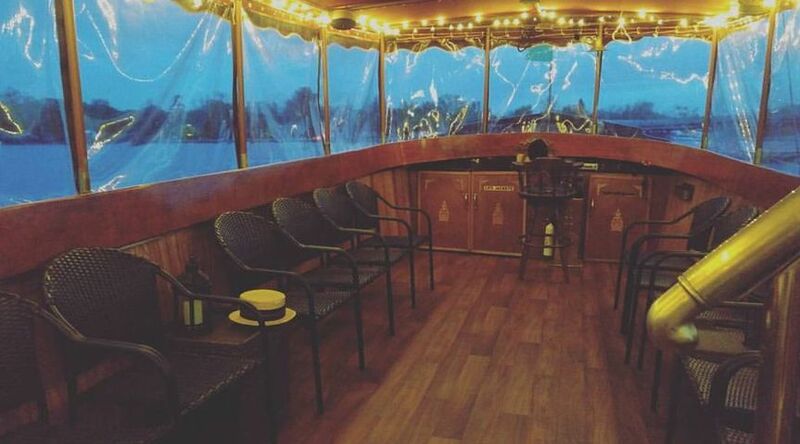 This boat can accommodate 25 people for a small intimate wedding. 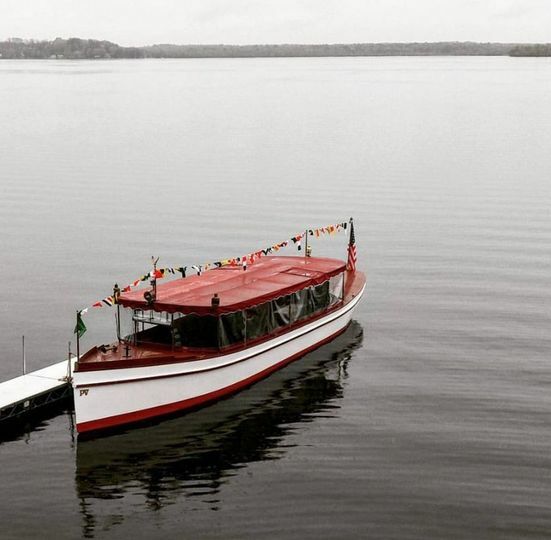 Kaydeross, the 22 foot pontoon, was built in 2015 and is powered by a Yamaha engine. This boat has comfortable seating for nine guests. 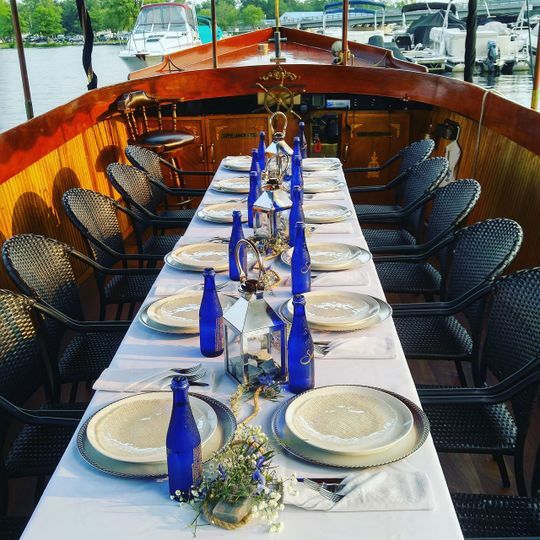 Adirondack Cruise & Charter Co. can host small reception dinners, cocktail cruises, small wedding ceremonies, and bachelor/bachelorette parties. 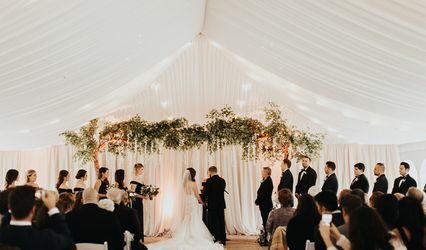 You can even have your ceremony officiated by the Captain. They offer cruises open to the public on select days from May through October. You can even take a moonlight cruise to be married under the stars. They can pick you up at your dock, or from a lakeside restaurant. 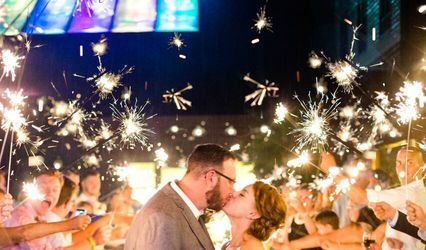 Their unique venue gives you a rare view of the Saratoga Lake and a romantic, intimate wedding to make lasting memories for you and your guests. For a sail and dine experience, dinner and drinks are available at Harvest and Hearth, Lake Local, Dock Brown’s, and Nostalgia Ale House and Wine Bar. 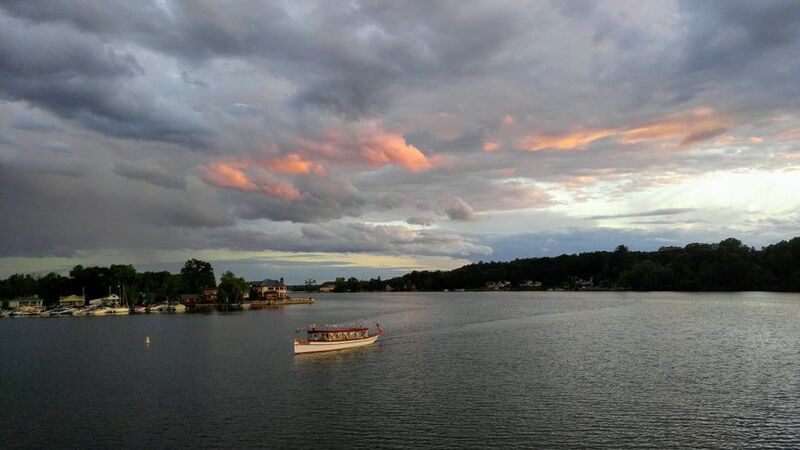 Adirondack Cruiser & Charter Co. is located minutes from Saratoga Springs and a mile from Longfellows. Adirondack is conveniently located off Route 9P. Just a short drive away and you can visit the Saratoga Racetrack and SPAC. 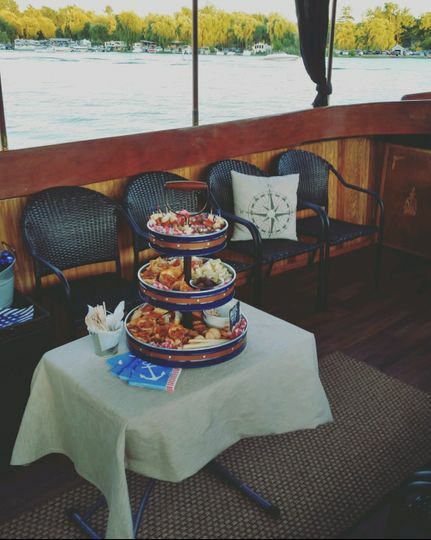 Took part is an engagement party, hosted by ADK cruise and charter and was blown away by the experience. 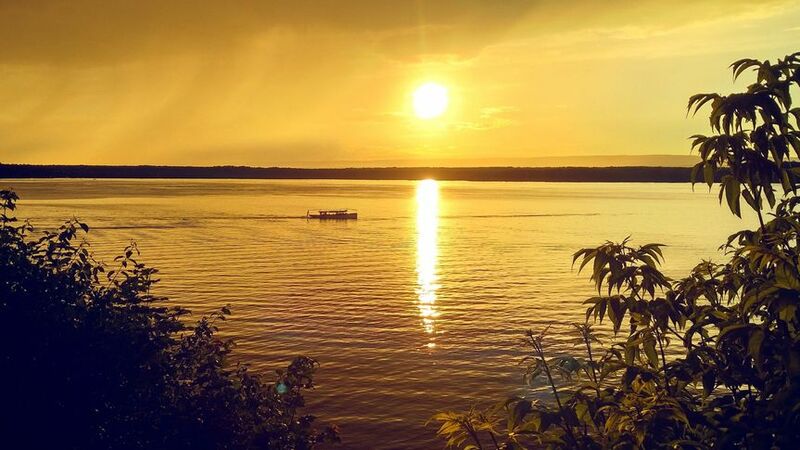 As soon as the boat leaves the dock, you feel like it's your own world out on the water. Time stands still for a while and you can enjoy your company while detaching form your phone and the hustle-bustle of the world for a few hours. Awesome experience!